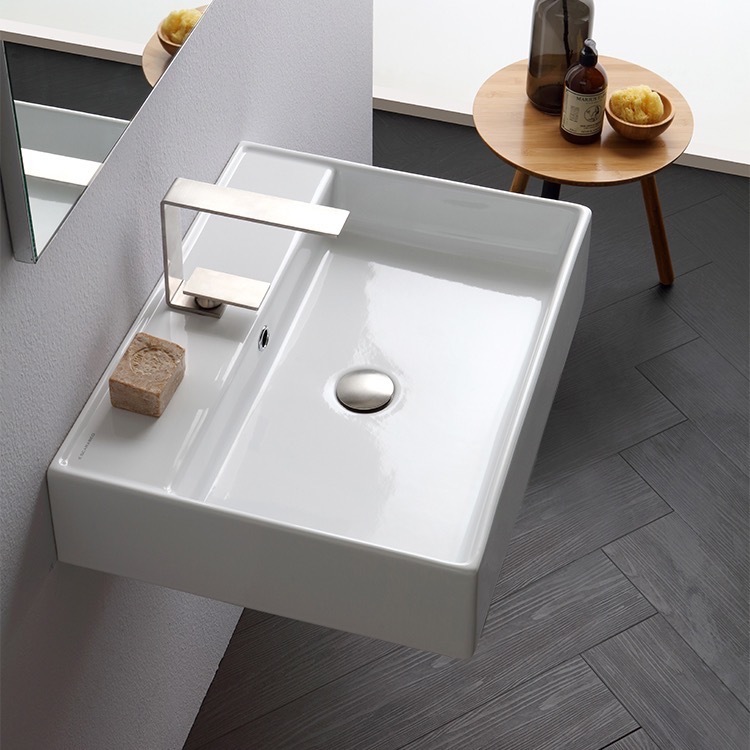 Rectangular sink finished with white glaze with the option of wall mounting or as a vessel sink. 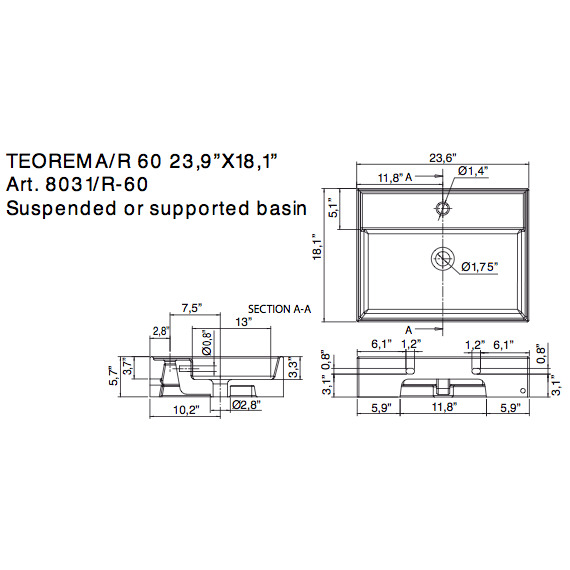 Part of the Teorema collection from Scarabeo, this sink has a thick back lip and thin front and side rims. Back rim provides space for bath accessories such as a soap dish, soap dispenser or a toothbrush holder.